Although when Theodore Roosevelt made his famous speech talking about “cold and timid souls” at the Sorbonne, I don’t think zombies were much discussed in pop culture. In schools, some are students but others are undead teachers. Teachers who aren’t retired but their practice isn’t alive either. They’re not working on making things better and improving. Undead students who play video games all night and sleep in class all day. Undead parents who would rather look at Facebook than pay attention to their child who needs help with their homework. In businesses, some are employees who see a mess and wait for someone else to clean it up. But sometimes they are zombie managers who complain about the work ethic of their employees while golfing every afternoon at two. “I’m ready to retire” Or “I’m too old to change.” Are the battle cry of the complacent. I promise one thing. If you’re waiting for a school or business or organization to change until you retire, people will applaud when you do. A bad attitude is like a flat tire, you’re never going anywhere until you change it. Then there are also zombies who insist they already know and do everything and have nothing to learn. Turn off the TV. Turn off the cell phone. Play a board game. Turn off the electronic devices in the car and talk about history or the history of music. Have a conversation. Relate to the people you’re related to. I wonder how many people will reach the end of their lives and wonder if they really were alive? This post is day 51 of 80 days of excellence. I’ve created an email list below for those of you want to be emailed the full posts written as part of this series. 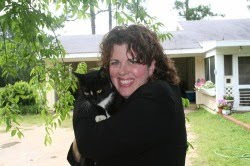 The post No Zombies: Stop Going Through the Motions and Live Life appeared first on Cool Cat Teacher Blog by Vicki Davis @coolcatteacher helping educators be excellent every day. Meow! Crystal Marshall-Krauss and her colleagues at the district office in Howard County, Maryland have created a fun way to excite teachers about professional development. They’ve created “Happy Apples” subscription boxes for their teachers around a variety of subjects. Learn about this innovative PD idea and how your district can craft these boxes for your teachers. This week I’ll be sharing the 7 Pedagogical Shifts That Make Interactive Displays a Key to a Student-Centered Classroom on the Cool Cat Teacher blog sponsored by SMART Technologies. 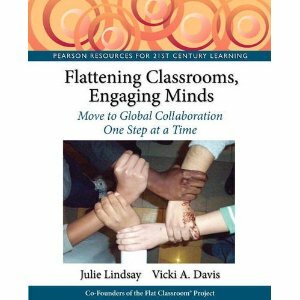 Shift #1 is that Students are collaborators. My interactive display is the common workspace for the whole class. I use it as a digital workspace, to display any screen for the whole class to see, as a large multi-touch drawing and brainstorming space and so much more. My interactive display is a must-have device. I wouldn’t want to teach without one. Recent research shows that large interactive displays are vital to the classroom ecosystem. Vicki: Today we’re talking with Crystal Marshall-Krauss @crystalmmarshal, Digital Learning Innovation and Design Resource Teacher from Maryland. Now, Crystal, you and your team came up with this really cool subscription box type idea for PD for your teachers. You call it Happy Apples. Tell us what this is. So we came up with this to kind of address a couple of needs. So we started prototyping it, and tested it out on a few teachers. They all loved it. What they get is an actual physical cardboard box like a catalog mailer. Inside they have tons of little goodies. They get some books, a student activity, other articles or magazines that meet their needs. We always like to add a few other kinds of fun things that they can do, so we have thank you cards with prompts to send thank you cards to parents, students or colleagues during the time that they get the box. They get one delivered five times a year, and we sneak into their schools and put it in their teacher mailbox, (laughs) so they get a surprise when they come to their mailbox at the end of the day. They seem to really be enjoying it. What other kind of things are you designing for these boxes? Crystal: We use Canva for a lot of our printed content. It’s an easy design tool to use. What kind of things are you designing for these boxes? We will create student activities. At the beginning of the year, one of the ones that pretty much all of the teachers who got it used it, was really a student interview guide. Sort of to come up with some questions and some guiding thoughts behind that about how to interview students to find out more about them, and to kind of get more of a one-on-one relationship with the student. A lot of teachers have a lot of students, so they were able to work in small groups and focus in on and learn some really interesting and new things about their students that they may not have had a chance to learn before. We also create student handouts. We created a whole activity about listening to podcasts, with some sessions for some great podcasts, for students to be able to practice listening and getting their learning in a different way, and to be able to take notes. The great thing is that we have from K-8 teachers, so we have to differentiate a little bit for the different grade levels. It’s easy in Canva, because you can just make a copy, and kind of make those adjustments as appropriate. Vicki: So how did you decide to customize these different boxes, because every teacher doesn’t get the same thing, do they? So it took a little bit of figuring that part out. We have a larger team, but there are a two of us that are really committed to this little side project that we came up with. The other (person) is a resource teacher in instructional technology, Karrie Truden. So we had about ten topics that we felt we could probably get started with. We had enough information and knowledge and context to be able to pull together. So we had the teachers choose between their top three out of those ten. We had hoped that several would pick the same three. Crystal: But several of the same boxes did not turn out that way. Crystal: So pretty much, everybody has a different combination of the three, or they’re at different grade levels, so they had to be changed a little bit anyway. But that’s OK, so we kind of work on smaller pieces of information and content. For instance, instructional technology is one item that I would say about 90% of our teachers were asking for. So we create a couple of items or links to some articles, or find some magazines that we have articles that match up with their grade level. So we’ll kind of work on all of that. Then when we put the boxes together, we take all the pieces and match them up for the individual teacher that we’re providing it for. Vicki: So, tell us a story about one of the teachers that got this box, and it changed something in their classroom. Crystal: So I would say that the biggest changes we’ve seen have really been in the student relationships. Seeing teachers say that they were really excited to have a new activity to try with their students. The student interview piece was a huge one that we got feedback on after the first box. The teachers were able to learn about different interests of the students, and then they created small group reading assignments around those interests for the students — which they may not have done before. That one was a huge thing for them. We also have some specialists in the schools that are kind of on their own, They may not have another teacher in a similar role in the building. They really appreciated having things kind of customized just for them — the media specialist, the reading specialist, and that sort of thing. Vicki: Wow. So you tried this with just a few teachers, and you’ve gotten some feedback now. What’s the feedback you’re getting, and how are you going to change this for the future? Crystal: Our big goal is to double the number of teachers that we get for the last two boxes. What’s the feedback you’re getting? Crystal: So we plan to send an invitation in the box that’s going out this week. They’ll be able to invite a colleague to join the last two boxes for the school year. We’re trying to include more of the student activities — really kind of branching out in that area where we can start to differentiate a little bit more, and really get down to things that they can use right away, while also providing some kind of stretch and reading content that they may not have seen before. Vicki: So, there are a lot of folks out there listening to the show who design professional development for teachers. Now this is not a company you bought this from. You’re actually making these boxes yourself. So what is your advice to those who are listening to this, saying, “Hey, I want to do my own versions of “Happy Apples,” and make some kind of subscription box for my teacher? What is your advice to those who want to make their own version of this? Crystal: And get really organized. I think starting small — especially if you have the opportunity. You can get that feedback from them as you’re going, and figure out what’s really working, what do they want more of? We keep asking them what they want us to change, and they keep saying they like everything. We will share the link in the Shownotes to the Happy Apples idea. This is a fantastic idea for professional development. I even wonder if we could figure out a way to use this with our students, because everybody likes to get — basically, it’s a prize box, which we used to use that even in the 1970’s and 1980’s when I was a kid in school. Vicki: So thanks, Crystal. I love this idea. We all need to be creative and get excited about learning. Crystal has been an educator in Howard County Maryland for 12 years and currently serves as the Digital Learning, Innovation, and Design Resource Teacher. She lives in Silver Spring, Maryland with her husband, two children, and two dogs. The post Happy Apples: Fun PD Subscription Boxes for Teachers Made By the District appeared first on Cool Cat Teacher Blog by Vicki Davis @coolcatteacher helping educators be excellent every day. Meow! There were people in the United States who not only hated George Washington but rejoiced when he was out of office! Usually, the only time any leader is beloved is when they are dead. If you’re a living, breathing leader, I promise that you’re ticking somebody off. But great leaders also know great critics. They know the loneliness of seeing their name slandered in the paper. They know what it is like to be misquoted, misjudged, and misinterpreted. Excellent leaders know what it is like to walk up to a group of people who suddenly go silent. They know betrayal. While criticism does not mean you’re a great leader, if you are a great leader, you will be criticized. But let’s talk about what else great leaders know — that they make the world a better place. That leadership is hard. They’ve long given up being beloved and popular by everyone because they know that leadership usually comes with a price. In today’s world full of likes and loves and neon colored emojis, I don’t think we have room for Churchills and Lincolns and perhaps even Billy Grahams. We don’t want the truth, we want to “like” stuff. But the truth is that some of the greatest leaders tick us off and get us to do what we should do. They tell us that we’re wasting our lives whining about our finances while we binge on Netflix when we should be figuring out how to make some extra money to pay off our debts. They tell us to put our phones down and talk to the kids at the supper table. They tell us that it is ok to have your child mad at you when you are the adult because kids are often selfish and don’t know that it is good for them to go to bed at 8 o’clock when they are four years old. Right now, most people just think the person with integrity is the one who agrees with them. Each person thinks they have a right to their opinion – well, we all have a right to our opinion but that doesn’t mean we have a right to be right. We can have a wrong opinion. Today, I had a student ask me if I thought the world was flat. I said that whether I thought the earth was flat or not was irrelevant — what was the truth? Because the earth is round and whether I believe it to be round or not, it is basically round. In this case, the truth mattered more than my opinion. And I refuse to get pulled into a mind-numbing hair pulling debate over whether water is wet. I mean, really? Let’s solve real problems for a change. Just because I disbelieve gravity doesn’t void gravity. And just because I believe a person is not a great leader doesn’t mean that they are not one. And just because I think that debating whether water is wet is a good use of three hours doesn’t make it so. Often in today’s world, we major on the minor and minor on the major. And if we’re going to have leaders in this world gone awry, we’re going to have to have leaders who are ok with the fact that while they are alive, they will receive harsh criticism. And when they are praised, they won’t be there to hear it. Such is the path of the greatest leaders the world has ever seen. So, don’t desire for leadership unless you’re willing to pay the price. But, let me tell you a secret. Ticking people off is a small price to pay for leaving the world a better place when you’re gone. This post is day 50 of 80 days of excellence. I’ve created an email list below for those of you want to be emailed the full posts written as part of this series. The post Success Truths: Great Leaders Have Harsh Critics appeared first on Cool Cat Teacher Blog by Vicki Davis @coolcatteacher helping educators be excellent every day. Meow! Teaching kids to code starts with helping them understand the concepts behind coding before you get into syntax. Aditya Batura, Programmer and Entrepreneur, talks today about the concept behind helping every student understand computational thinking. Vicki: Today we’re talking to Aditya Batura @ohpotatopirates. We’re talking about how to get people really excited about coding and interested in it. So, Aditya, you are a cofounder of Potato Pirate, which basically teaches 10 hours of concepts in 30 minutes. How can we condense down what we need to learn in coding to such a short period of time? Aditya: Hi Vicki. So the whole point of learning programming — it just sounds so daunting because people have to understand the logic as well as the syntax. The syntax is basically the makeup of the language. It’s the grammar behind it. Unfortunately, in programming, that’s just made up of mathematical jargon like parenthese, semi-colons, colons, brackets and a lot of different symbols. This gets overwhelming for people. Most programmers who are just starting out, or anyone who is just jumping in to learn programming — this could be any age, from a 6-year-old onward up to an adult. The problem is that it’s way too overwhelming for someone to grapple with the syntax in order to enjoy the underlying logic behind it. I’m a software developer by my formalized profession. Before I started doing all this, I’d say that I learned programming for the same reasons. And that’s the main problem that people face. So instead of overwhelming people or any student with both the logic and the syntax at the same time. Mind you, syntax for every programming language is different, as it is for any spoken language. Instead of overwhelming students with all of this at the same time, we break it down, and we just explain the computational thinking steps, which I think are universal across all languages. Regardless of whatever you may be trying to program, you will have to understand the same computational thinking concepts, which is really the beauty behind programming. It’s the decomposition of your thoughts into lines of instruction. Vicki: Yeah. Absolutely. I’ll tell you this. One of the introductory programming things that I do with my students is just basic HTML. And you know, so many of the kids struggle. Like you said, syntax into spelling and that sort of thing. So how do you get past that? Is it more object oriented or are there challenges to do? How do we get past the syntax issue? Aditya: Nowadays, kids have it really good because there are so many visual-based, block-based learning forms like Scratch and MIT’s App Inventor platform. These basically allow you to build an entire program without actually having to write a single line of code or instruction. You can drop all of it, and it fits in like a jigsaw, so firstly you will know what fits and what does not fit in a certain block. Third, no syntax. So you don’t need to worry about any of that. So a lot of block-based learning platforms for students — or anyone, for that matter — to jump into and just get their hands on, and just push buttons and see how things work without being overwhelmed. Five or seven years ago, you had to start with the Command Line. If you missed a semi-colon, everything would just break. You’d just get this long list of a failure message, and you wouldn’t know what it means. So instead of having to do all that, now there are so many visual and block based learning platforms. But even with that, it seems like sometimes it’s a bit disjointed, and people don’t really know what the starting point is. And that really was the motivation and the premise behind Potato Pirates — to try and provide a universal first step into the world of programming without having educators have to set up an entire class’ infrastructure. Or for any parent to get involved in their child’s learning, by just playing this game. So both the parent and the child can pick up computational thinking concepts. This can take place in any setting, in a classroom or outside. So achieving all this without the use of a computer, that’s really what we were trying to do. So just the basic, fundamental computational thinking concepts that don’t hold you down to any language. Once you’ve played the game, you proceed onto learning any different thing of your choice. Our statistics show that we see a 78% increase in interest and an 85% increase in confidence of anyone who has played the game. Our sample size currently is about 400 K-12 students. So far the response has been pretty good. So that’s really what we’re trying to do. It’s funny. I recall a conversation that I had. This has been several years back. I had a friend from the very early days of computing. He was a bit older than me, and he actually learned how to program in 1’s and 0’s. He programmed a machine language. Are there programmers who have been taught classically with brackets and all the syntax who look at these easy entry type of programs with a little bit of disdain and arrogance, and claim that this is not to be introducing computer science. I think there are always going to be proponents of both these views. But what I think, I guess… Some people will always say that. What we’re trying to do is introduce it to larger group of people. We’re trying to achieve breadth instead of depth, if you know what I mean. At this point in time, I think every student, regardless of their background wherever they are in the world, needs to at least have the basic computational thinking concepts and needs to have a basic understanding of what this programming means. The generation before doesn’t really have that, and they didn’t need to have that. So you definitely get those naysayers, people who look at it with disdain because you’re really dumbing it down. Aditya: Which is unfortunate, actually. You know, I’ve never programmed in a machine language. The lowest language I’ve ever gone is like C or something, you know? Aditya: So I personally find a beauty in learning computer architecture from the ground up, which I have done. But most programmers nowadays don’t practice that. Vicki: We’re also talking about teaching kids in elementary, middle, and high school. Vicki: And personally, as a computer science teacher, I see that when I start with Scratch — or even when I have my older students help younger kids in “Hour of Code,” I guess it becomes “stickier”… It becomes easier to learn when I do introduce those concepts, just because they understand what they’re trying to do, so then they’ve got to do it. Aditya: Objectives here are pretty different. At this point in time, I think what we want is to get all kids excited about learning how to code, and getting buy in from the students. So if you gamify the whole process and make it look less mundane, that really achieves that much better. I’m sure you must have noticed that in your classes also. Getting buy in from students, getting them excited to want to learn more — that’s deep learning, right? That’s more conducive, which inspires students to want to learn more beyond the classroom. These tools, like gamification and all of that, really achieve that, especially for the younger students. Note from Research Assistant, Dr. Lisa Durff: Research has shown that technology engages and increases academic achievement of students. Recently, Hamari et al. (2016) found in their study of high school students who were involved in gamification that flow and engagement had a positive association with learning. Reference: Hamari, J., Shernoff, D. J., Rowe, E., Coller, B., Asbell-Clarke, J., & Edwards, T. (2016). Challenging games help students learn: An empirical study on engagement, flow and immersion in game-based learning. Computers in Human Behavior, 54, 170-179. Vicki: OK. Teachers, so we’ve really dug into how to teach code to younger students, and really focusing on the logic instead of the grammar and syntax. The name of the game is Potato Pirate. I’ll include the link in the Shownotes as well. I think this is an important conversation to have, but I also smile thinking of my friend who was looking down on the rest of the world because he programmed in binary. Vicki: We have to be careful, as professionals, not to think that the way we learned is not the way that anybody else has to learn. If we can improve the learning process, by all means, we should! Aditya: Yes, I certainly agree with that. So that’s really the premise of introducing tech literacy nowadays. It’s becoming like learning English in the 20th century. It’s become like a basic necessity of educators to include their classrooms. So like I said, we’re trying to achieve different objectives — like getting people to understand it from the fundamentals (like the machine code) — but what we’re trying to do is introduce it to a wider spectrum of people who have different learning capabilities and different inclinations and aptitudes. So we’re trying to provide a learning experience that most of these types of students would appreciate. Aditya: Thank you so much. Aditya is CEO of Codomo, a Singapore-based ed-tech startup and is also one of the creators of Potato Pirates, a tabletop card game that teaches 10 hours worth of programming in 30 minutes all without any computers. Potato Pirates raised over a quarter million on Kickstarter and has been translated into 20 different languages already. The post Simple Steps to Teach Kids to Program appeared first on Cool Cat Teacher Blog by Vicki Davis @coolcatteacher helping educators be excellent every day. Meow! Kip and I were talking about the best bosses we’ve ever had. Kip shared something that one of his, Mr. Joe Morris Palmer, president and founder of an engineering company, did that really brought out the best in him. Kip said that this amazing man always started with him as a person. Every day, Kip knew that Mr. Joe Morris cared. And because he asked it every day, it would be shorter and shorter every day unless there was something big. Kip knew that as a person, he was important to the president of the company. Then, they discussed Kip’s current projects. Kip would share what he was doing and could ask any questions. 3. Why do you need my help with? Rather than being to do list items, Kip says he was always looking for a coachable moment with this question. When Kip stated problems or issues, Mr. Joe Morris would tell him who to talk to, mention resources, or point to jobs that had been done before that he could review. It was rare that Mr. Joe Morris left with a to do item on his own list because he showed Kip how to get answers, where to go, or answered a question on the spot. 4. Is anything holding you back? Again, he was looking for a coachable moment. If the person was a City Manager or politician, again, Joe Morris would tell Kip who to call or give him tips on dealing with that person. If it was a frustration of some kind, then he would coach there too. It was all coaching. Finally, he would end with focusing on Kip again. If Kip was hoping to take him to lunch, Kip would ask. If Kip needed to ask for a time to go to school function in the next few weeks, he could mention that. Kip said that this rarely took more than 10 minutes. It was quick, it was efficient, but it was a game-changing moment every day or so. Now, this CEO had quite a few engineers and I’m not sure if he had to spend that long with every one but he definitely did with the new ones. Tragically, Mr. Joe Morris died in a car wreck after Kip had been at his company just a few years. He and Mrs. Jean were truly treasured friends and family members and the world was a sadder place when we lost them. But Mr. Joe Morris’ legacy of masterful leadership lives on in our lives. If we’re working with people, it is important to connect. In Kip’s last job, he had more than 30 direct reports and couldn’t have this 10 minute conversation every day. Now, he has less and tries to do it every two days since his employees are spread throughout a large property. But it starts with being interested in people. I work hard to apply this with my students. If I see a student struggling, first I ask how they are. Then, we get down to business. You have to relate before you innovate. You have to relate before you collaborate. Your world will rise and fall upon the relationships you build and the bridges you burn. Work hard to to build relationships. Work hard to put out sparks before bridges catch fire. These are both hallmarks of excellence. This post is day 48 of 80 days of excellence. I’ve created an email list below for those of you want to be emailed the full posts written as part of this series. The post 5 Great Questions from One of the Best Bosses My Husband Ever Had appeared first on Cool Cat Teacher Blog by Vicki Davis @coolcatteacher helping educators be excellent every day. Meow! Sometimes we write things as teenagers that we need to remember as adults. This double form poem I wrote at Governor’s Honors when I was 17 is one such poem. Here’s the thing, I didn’t keep this because I liked it, I remember keeping this because of the note a 40-something-year-old teacher at GHP wrote on the poem. And thus, sometimes we have to help children and teens understand what is important. And likewise, sometimes, we get a smack from the past to remind us who we want to be. We can remember that our dreams are a precious treasure. I have goals written at age twelve. One of them? To be an author and to write poetry. This post is day 47 of 80 days of excellence. I’ve created an email list below for those of you want to be emailed the full posts written as part of this series. 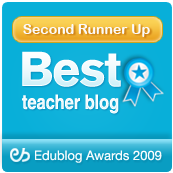 The post Dreams Are Your Precious Treasure appeared first on Cool Cat Teacher Blog by Vicki Davis @coolcatteacher helping educators be excellent every day. Meow! I will never carry a gun into my classroom. However, I believe I have something far more helpful: compassion, caring, and a determination to change the world by reaching the hearts and minds of this generation. People are scared and rightly so. In one moment, a madman can destroy the lives of so many. And few people notice what is prevented by a great teacher, but I aim to be one who helps people become safer by reaching kids in the classroom. In the recent Reader’s Digest article, One Teacher’s Brilliant Strategy to Stop Future School Shootings — And It’s Not About Guns advocates a strategy where the teacher looks for kids who are left out. It’s brilliant. I do it too. I look for the lonely. No child should have to eat alone. Recently, I interviewed Natalie Hampton, the teenager behind the Sit With Us app, an app where students can sign up to “be ambassadors.” A lunch table ambassador won’t turn away anyone who wants to eat with them. Her idea also advocates this. Loneliness can be a sign of so many things. And while there are students who sometimes need to be alone sometimes and might just need some quiet, it is often a sign of something else going on when a child eats alone. So, when I’m in the lunchroom, I notice if someone is eating alone. I talk to them. And then I sometimes talk to those kids who would be lunch table ambassadors like Natalie’s and encourage them to invite the other student into their group. It might take a few days, but encouraging kids to be kind to one another can fight loneliness and make the world a better place. As students come into my classroom, I call them by name and look at their eyes. When I see something amiss, I’ll find a way to talk to that child. Everything from home struggles to eating disorders and bullying can come out of these carefully crafted conversations. Whether the issue is big or small, if it is enough to trouble the eyes of a child, it is enough for me to express that I care — even if they’re just tired. Everyone needs unconditional love. Many years ago, I made a promise to myself that I wouldn’t walk into my classroom unless I could honestly say that I loved every single child. Twice in 16 years, I had to go to the teacher’s bathroom for a moment of prayer and attitude adjustment before I could walk in the room and keep this promise. Unconditional love is like a commitment to workout. It’s easy to start off doing it, but when you get tired and life comes at you in full force, maintaining the practice can get harder. But along with unconditional love, children also need honest accountability. When a child is caught cheating, I have to handle it according to National Honor Society rules. Even so, I express to them that I care but have to hold them accountable. If someone treats another child with disrespect, I also have to handle the situation. However, I still love the child. This is a balance, but you can have both. Love helps us relate. Accountability helps us learn. How we act is important. What we do when hard times come is critical. How we treat people when we disagree is vital. Students want to respect their teachers, but this generation seems particularly unforgiving when teachers act in ways that aren’t respectable or, even worse, when they disrespect their students. Teachers have a higher standard of living, not in terms of paycheck, but in terms of our behavior, and we must strive to live up to it in the eyes of our students. I share this story with my students but the story doesn’t end there. They particularly love how God transformed “Icky Vicki” into a beauty queen. How I ended up winning every election but one after the beginning of ninth grade and leading some very large campus organization as a college student at Georgia Tech. They love to hear that, although kids taunted me and said that no one would ever love me, my husband and I have been madly in love for 25 years and I still consider him my boyfriend. And that the kid who everyone said had “no common sense” has been blessed with lots of people reading and listening to her work every day. The mean taunts of children don’t have to become your future – or anyone’s future. Our past may shape us, but it doesn’t have to define us. We can be more. We can do more. And we can always rise above. As I share my personal story, it gives kids hope but it also shows them that I’m not perfect, which is something that I believe kids need to understand about adults. The first three years of teaching were so hard for me. But I think it was because I tried to compartmentalize my life. I never let any of my personal interests, life story, or quirky humor stick out from under my business suit and silky scarves. But once I brought myself into my classroom, I developed real relationships with the kids and strategies number 1-4 in this article became possible. You have to relate if you want to innovate. And we must relate if we want to have any hope of causing the violence to dissipate. I’m fighting school violence by loving one child at a time in meaningful ways that make a difference as I teach them. I’m not perfect nor will I ever reach all of these children, but I’m enough of an idealist and student-fan to give everything I have and keep trying. The post 5 Ways to Promote Health and Happiness in Every Classroom appeared first on Cool Cat Teacher Blog by Vicki Davis @coolcatteacher helping educators be excellent every day. Meow! Teachers are not all saints, nor are they all slackers. — These are just two of the myths that social studies teacher Aaron Pribble tackles in this motivating, uplifting talk about what it is really like to be a teacher in America today. Aaron Pribble is the author of Teacherland: Inside the Myth of the American Educator. Check out Jennifer Gonzalez’ 2018 Teacher’s Guide to Technology for more than 200 tools with special tips, videos, and screenshots to get you started. Vicki: Today we’re talking with Aaron Pribble @aaronpribble, author of Teacherland: Inside the Myth of the American Educator. He is a high school social studies teacher in California. So Aaron, as we talk about Five Teacher Myths and How to Dispel Them, what is the first teacher myth? Aaron: Well, I’m going to say that the first teacher myth is all teachers are saints. Myth #1 – All teachers are saints. By saints, I mean that every single teacher’s going to win Teacher of the Year. People have seen movies like Stand and Deliver with Jaime Escalante, or Dead Poets Society with Robin WIlliams — that THAT’S what it means to be a teacher in America today. Vicki: And that’s a myth. How do we dispel it, because… you know, that is a myth in my classroom. I’m certainly not a saint. Aaron: Right? And you know, I hope that I think that we all aspire to sainthood, or at least to be Teacher of the Year if not a saint. I think that one way we dispel it is by painting a realistic picture of what it’s actually like in the classroom — the embarrassing moments when we try to improvise and be human, some of the hardening moments. I think if more and more teachers tell their story, and we get to see a more realistic picture of what it’s like, then maybe some of those myths will start to slip away. And if I could kind of foresee the second myth, if I could transition into the second one, I’m going to say that the other side of that coin is that if teachers aren’t all saints, then they must be slouches. People probably remember that famous New Yorker article or essay about the rumors that the best parts of teaching are June/July/August, that teachers are hard to fire, and that teachers take advantage of their time. I think that that’s equally a myth as well. A great way to dispel that myth, that teachers are really either saints or slouches, is by highlighting the good work that we do. One of the things that I love about your podcasts so much is that it’s practical, it’s quick, and it showcases a variety of teachers across the country doing really interesting things dayin and day out. Vicki: Well, and you know, teachers aren’t slouches. We work 99% of the hours of every other profession — except we do it in ten months! Aaron: That’s so true! That’s so true! Vicki: You know, I always say in the summer, “No, I’m not resting. I’m healing.” Because that’s what it takes! Aaron: You know, a related point, if I can just add on, is like what it means to grade. The notion that teachers can get all their grading done, you know, within the day. It’s just unrealistic. It’s not true. So if you think about grading an essay, and an essay takes five minutes to grade because you want to give some feedback. You don’t want to just slap a grade on it. That’s five minutes per paper. One class you’ve got 25-30 papers. You’ve got five classes of that. That’s a whole day’s work right there! So when are you going to do it? You’re going to do it in and around and in between and on weekends and at night and stuff like that. That’s just the way it goes. Vicki: It is! It takes forever! OK, what’s our third myth? Aaron: Alright. Well, related to grading papers, I suppose, the third myth is going to be that teachers only teach their curriculum. When we talk about teaching, we talk about perhaps standardized tests, or proficiency scales, or standards, at least. And that’s true. I’m a social studies teacher, so if I teach a law elective and U.S. History, the units and the curriculum really matters. But I think it’s also really important to teach the whole child. You know, this notion in education of in loco parentis, which is Latin literally for “in place of the parent.” We are kids’ parents — guardians at least — when they come to school. It’s really important to know that when they walk through the doors, it’s not just about the content. It’s not just about their minds. But it’s about their hearts. The whole child. It’s really important for us to keep that in mind, I think. Vicki: Little things like, “How do you get along with the person sitting next to you?” and “How do you respect others?” and “Do you pick up after yourself?” I mean, these are all things that help you be more successful in life. Aaron: Just to tell you one quick story on that… I had a kid who I really liked. Really promising, star of the football team, but you know, really quiet and really shy. His nickname was Smiley. All the kids called him Smiley. So I started to form a relationship with him through sports, and he’d stick around after class, after this law elective. And then he kind of peeks his head in one day and asks me to help him write a letter to the judge because his dad was about to be sent to San Quentin State Penitentiary. My heart was at once both full and broken for this kid. Here is is, trying to learn the curriculum, the stuff that’s going on in the classroom, and he has to worry about his dad being sent away to prison. It just reminded me that we are about helping young people succeed in life. There’s a lot that goes into that. Aaron: Our fourth one is that teachers don’t always just teach in the classroom. It’s not just about the curriculum. It’s also that things happen outside of the classroom that I don’t think a lot of people understand as well. Teachers need supervision points. We chaperone on dances. (What the heck is it like to chaperone a dance?) Or a spring concert, or a choir concert or something like that. There are a lot of facets of our job, especially when it comes to teaching, that happen outside of the four walls. Perhaps it’s an exchange trip, like taking kids to France or Dubai, for example, or maybe just down the road. But that sort of experiential learning is part and parcel of what we do every day. Vicki: Some of the greatest teaching moments have been hosting Special Olympics Bocce Ball at my school, where the kids are the officials. Or you know, taking kids on trips overseas. Or you know, sometimes on a field trip. I mean, there’s so many opportunities to teach. Aaron: I alluded to it earlier. Our fifth and final myth is that the best parts of teaching are not, in fact, June/July/August. Those are not the three best parts of teaching. It’s wonderful to have summers off, but it’s a truly meaningful and remarkable profession. We work hard, but I think we get back much more than we put in. And I think the same thing is true for summers. It’s a time to rejuvenate, and also to reflect on our practice. You know, the school year’s like a season. And at the end of that season, win-lose-or-draw, you celebrate. Then you reflect on your performance over that past season. Then you’re refreshed and ready to hit the ground running. But I tell you, for all of the breaks that we have, the breaks are nice, but they would not nearly be enough if you didn’t love what you’re doing. It’s a real honor to be a teacher in the classroom, and I hope that people will understand what it’s really like in the classroom — to paint a fuller picture so that we can appreciate the jobs that we do. And all of these myths, I think, are important to talk about and have conversations so that we understand the reality of what our profession is. You know, our profession is beautiful. Our profession is wonderful. But our profession is tough. Wouldn’t you agree? Aaron: Yep. It absolutely is. It’s tough but rewarding. The turnover rate in education is actually quite high. It’s something approximating a third to a fourth of the teachers drop out within their first five years. It’s not, believe it or not, because of the long hours. Teachers are willing to do that. It’s not because of the kids that they don’t get along with. It’s because of loneliness and isolation. You know, a lot of times, it’s one adult and 20-30 kids in the classroom. I think that one of the things that we can do to really improve our profession is to increase the collegiality and the collaboration to get teachers working together, so that more people will stay in the profession, and more people will continue in this great profession throughout their career. Vicki: Such great words because I know beginning teachers who feel very alone. And I know more experienced teachers who feel alone. I’m not sure why sometimes it seems difficult to build bridges with other teachers — whether it’s just the profession, or whether we are all kind of like king and queen of our little domain, or what. Vicki: But you know, Aaron, we have to do better. Vicki: We have to be better friends, better colleagues. We have to be more encouraging. I think you have really shared some powerful things about the profession of teaching. All of you listening, teachers, I’m proud of you. Thank you for teaching. Thank you for giving your life to this incredible profession. Thank you for doing all of the things that people notice — and all of the things that people don’t notice — for these kids. It is worth it. They are worth it. This is an incredible, fantastic, remarkable profession. Aaron Pribble is the author of Teacherland: Inside the Myth of the American Educator. An award-winning instructor whose work also includes Pitching in the Promised Land: A Story of the First and Only Season in the Israel Baseball League, Aaron teaches high school social studies in the San Francisco Bay Area. The post 5 Teacher Myths and How to Dispel Them: The Truth About Teaching in America appeared first on Cool Cat Teacher Blog by Vicki Davis @coolcatteacher helping educators be excellent every day. Meow!